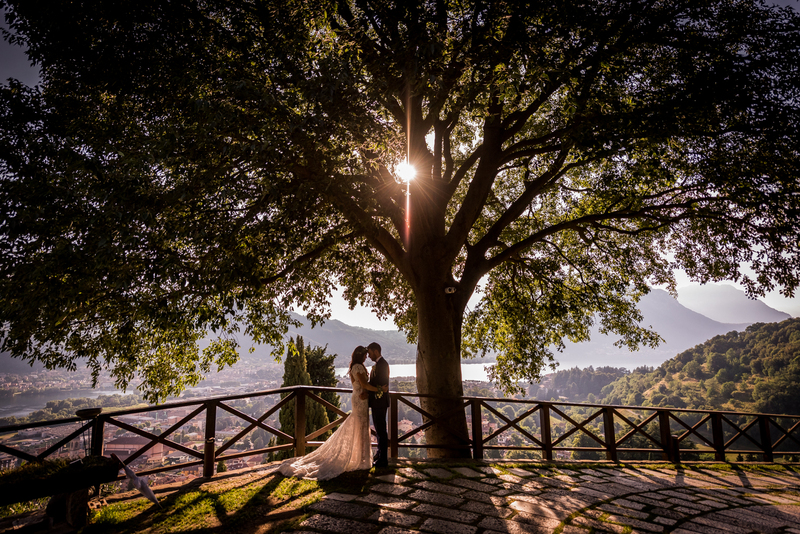 We are on “that branch of Lake Como, wich turns toward the south” of the most famous work of Alessandro Manzoni, “The Betrothed“, where he set the home of the infamous Innominato (Unnamed): the Rossino Castle A complex structure of medieval origins dating back to the thirteenth century which, today, is one of the oldest historic houses in Lombardy. 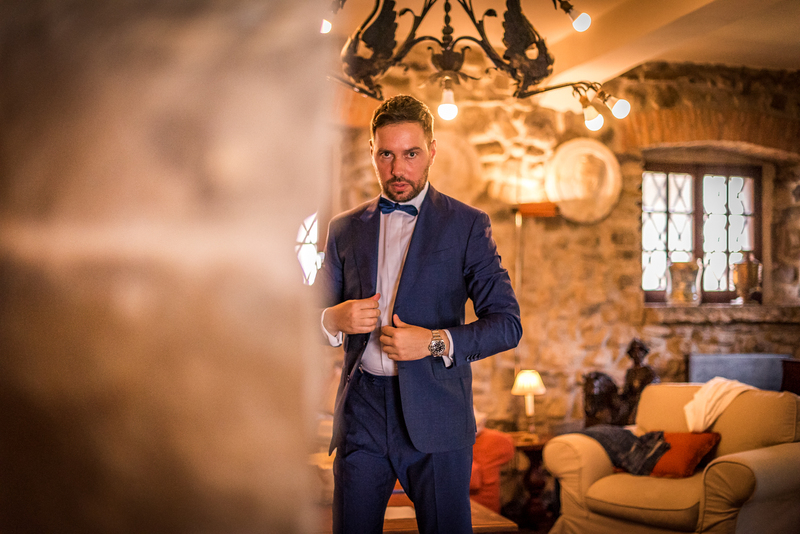 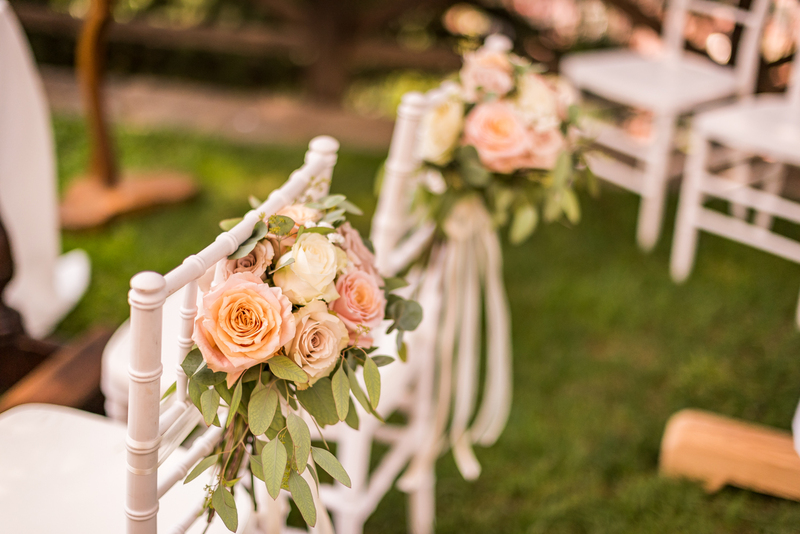 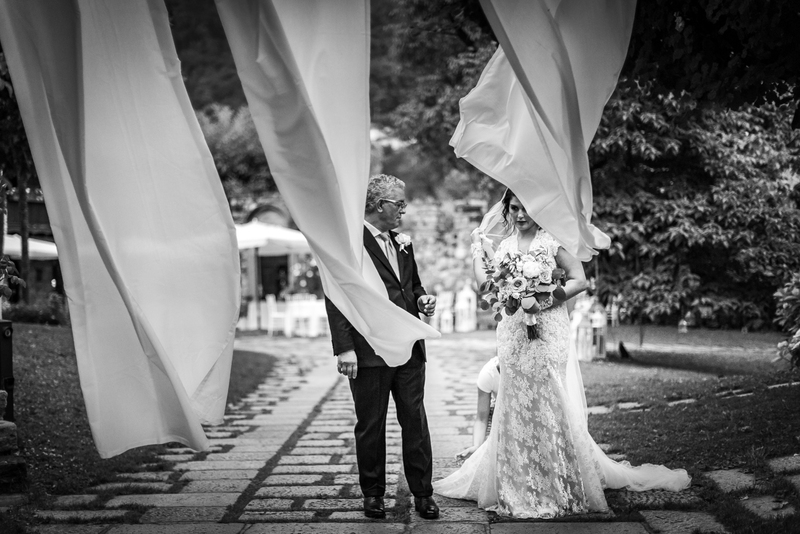 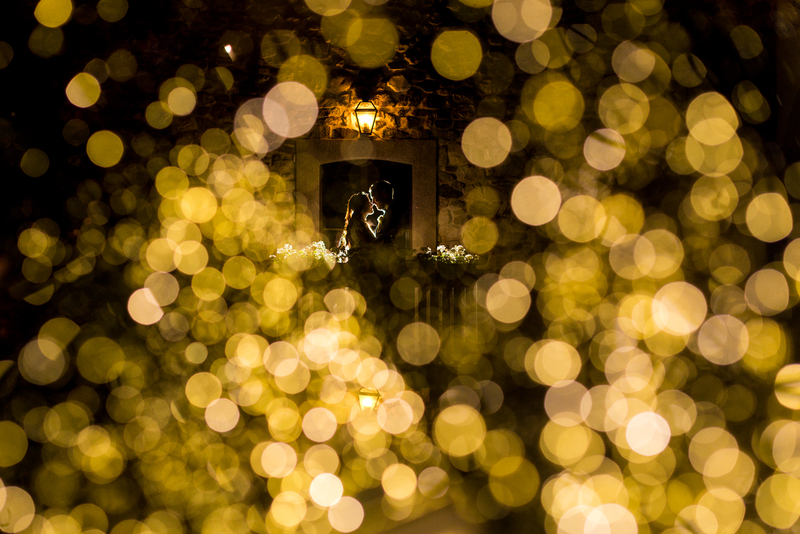 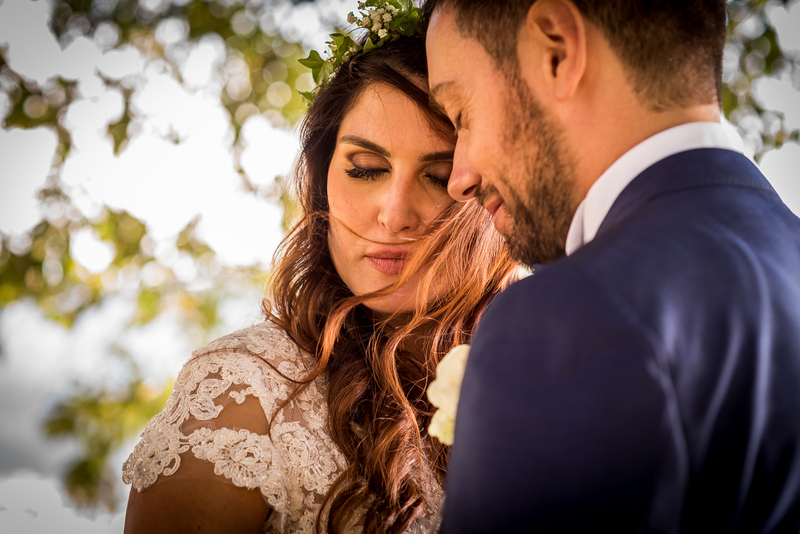 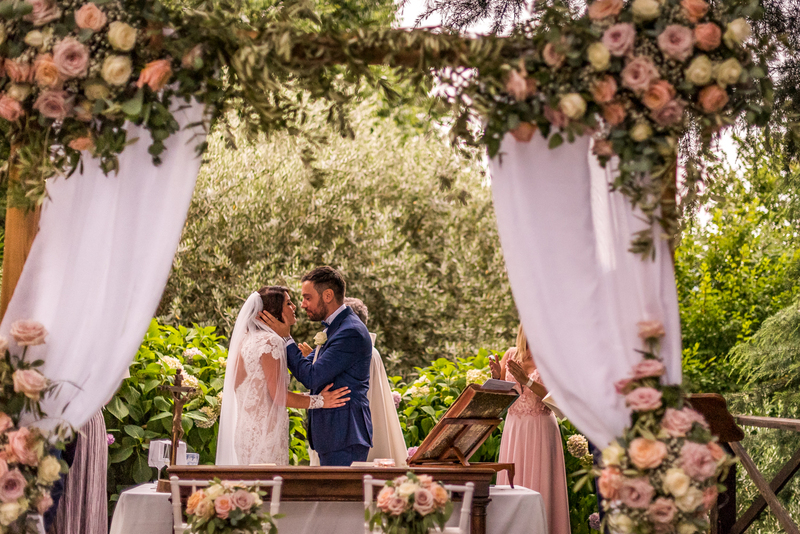 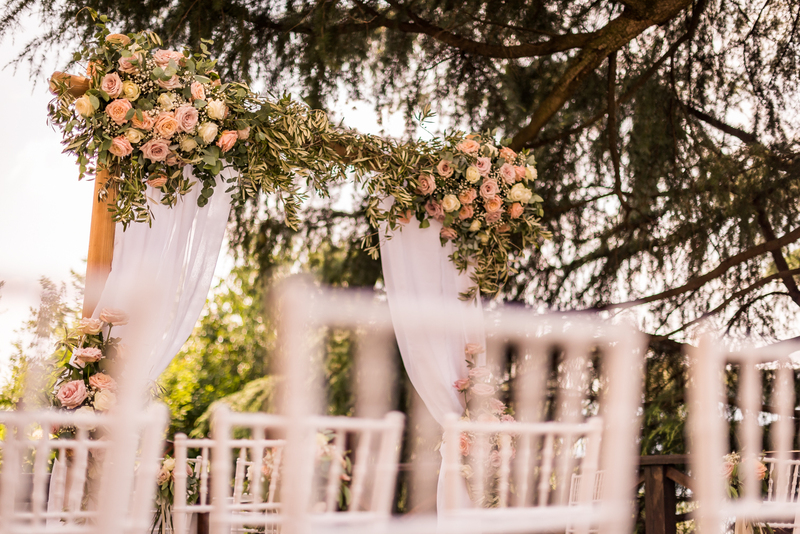 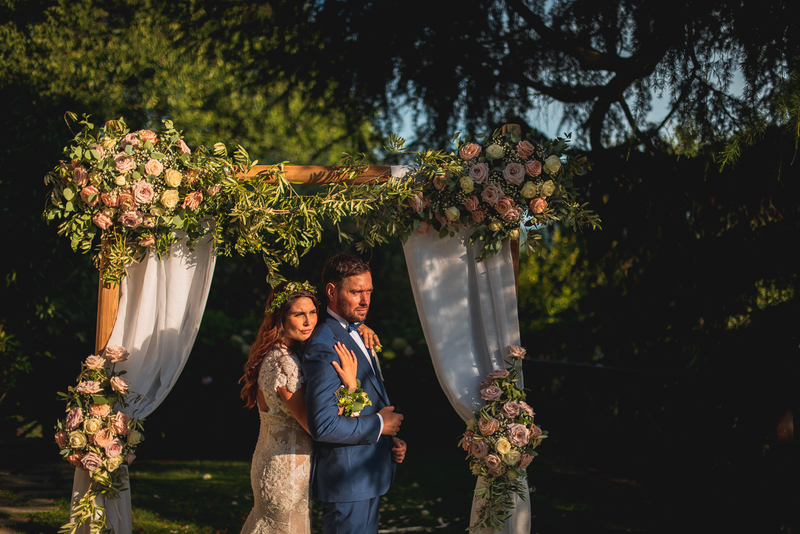 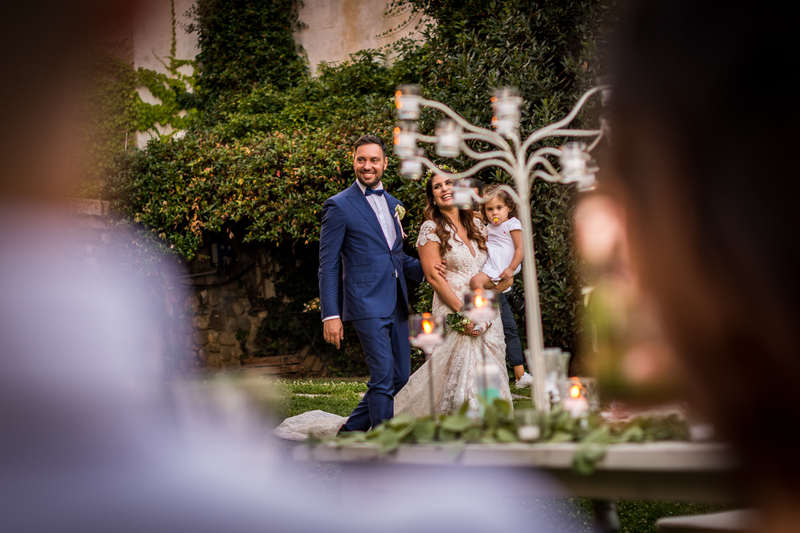 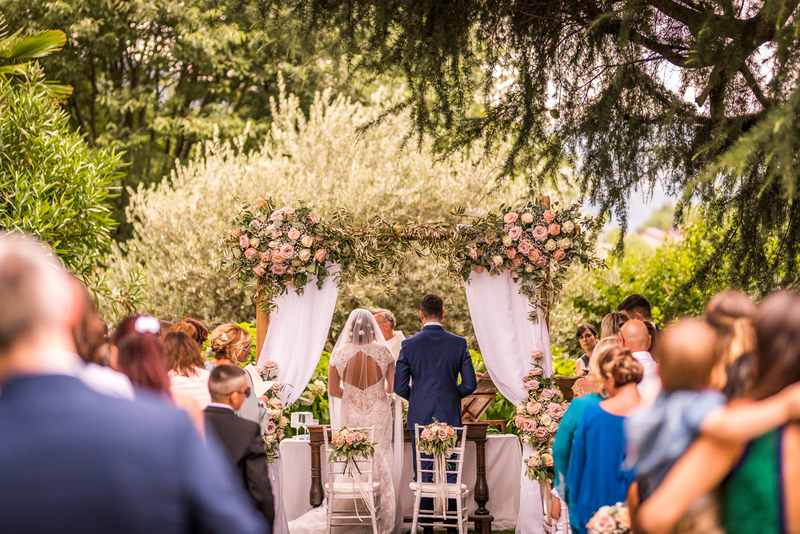 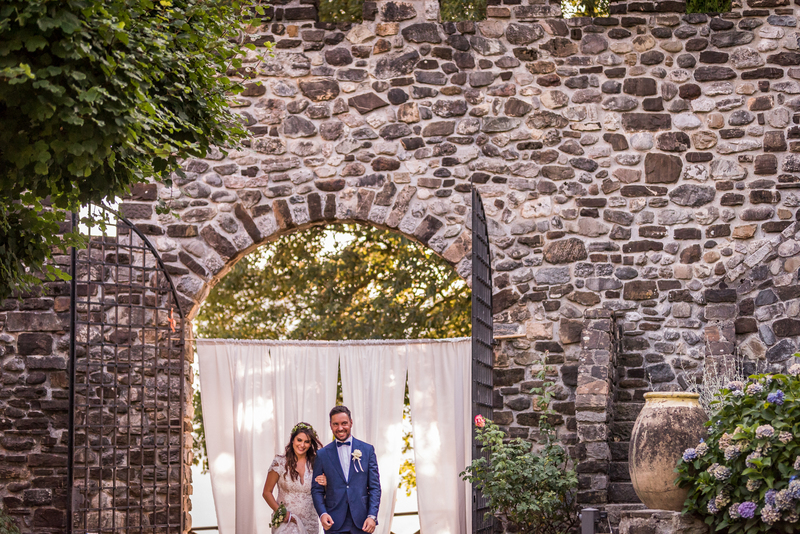 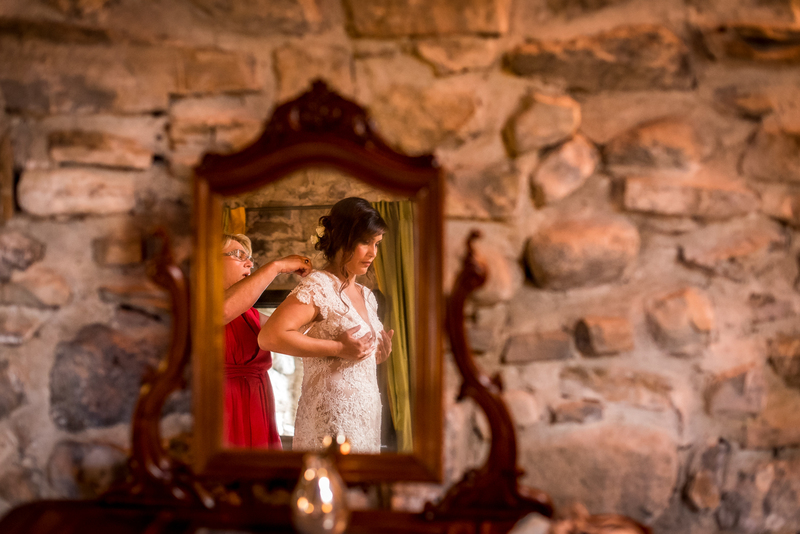 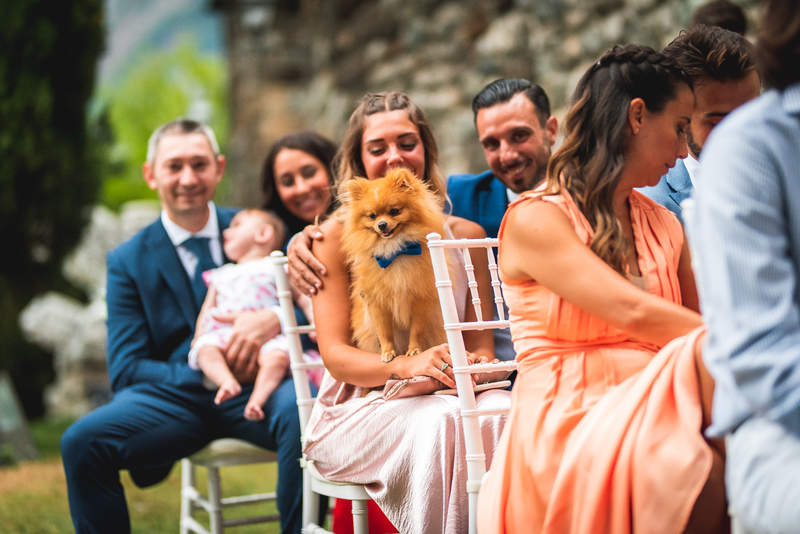 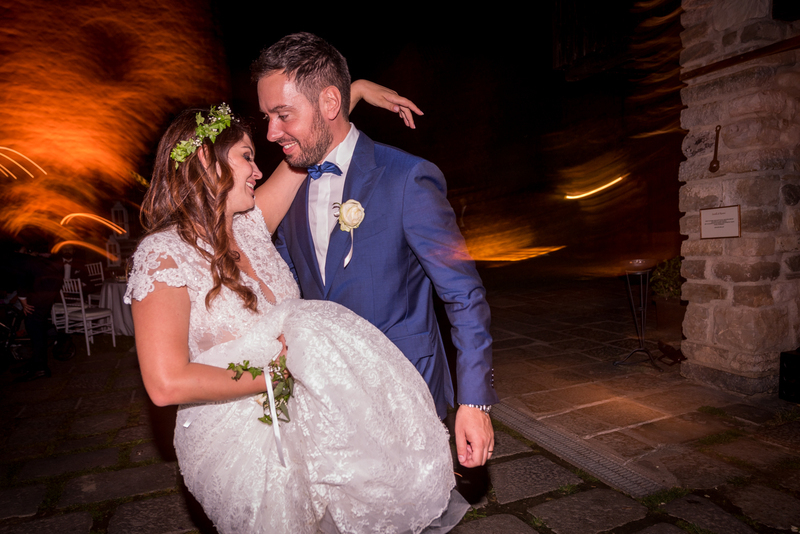 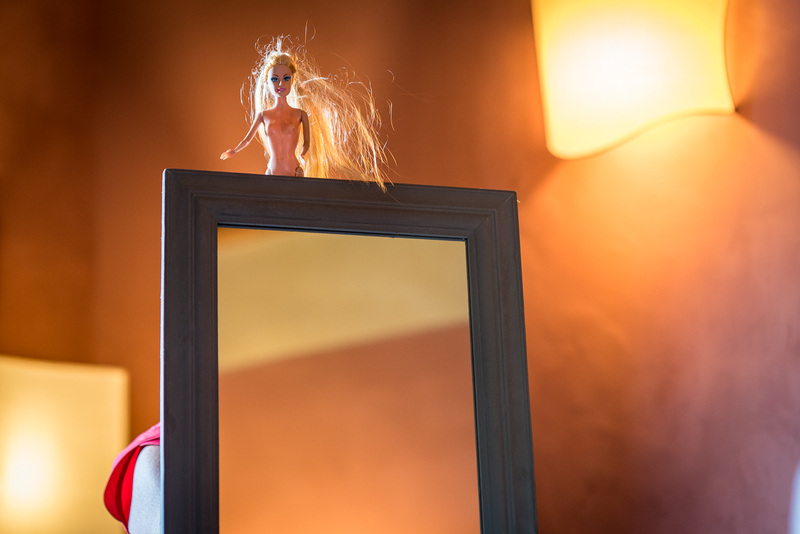 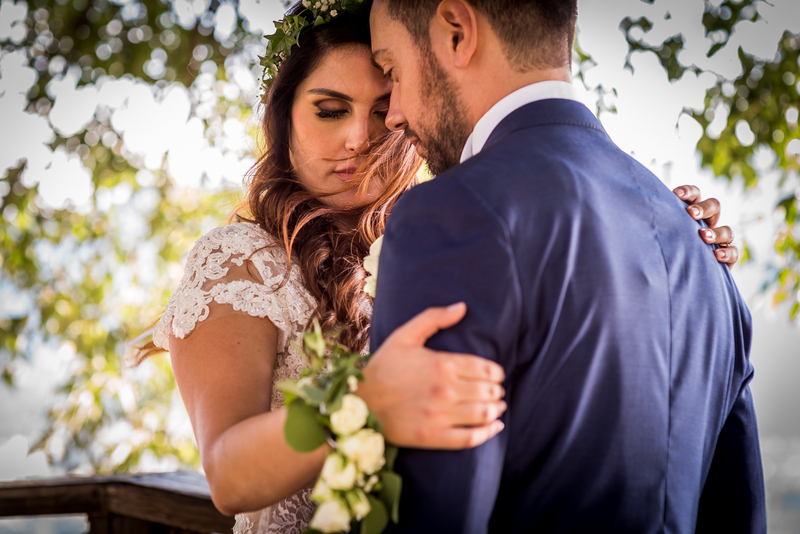 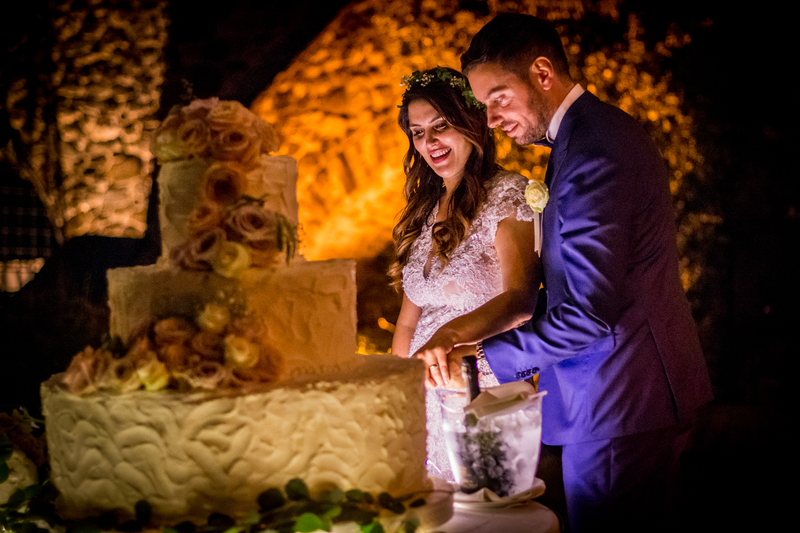 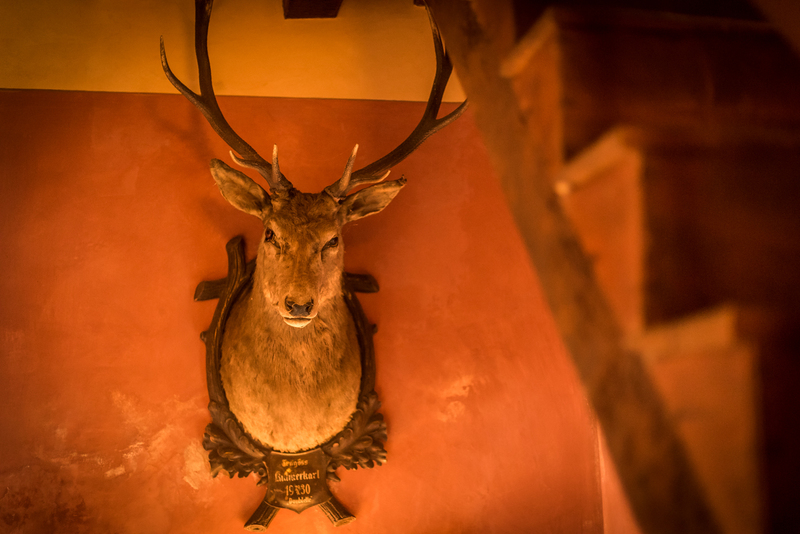 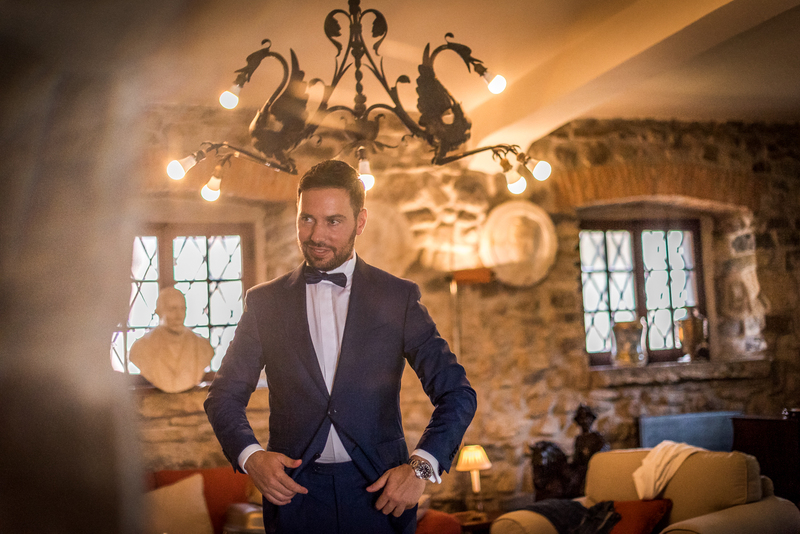 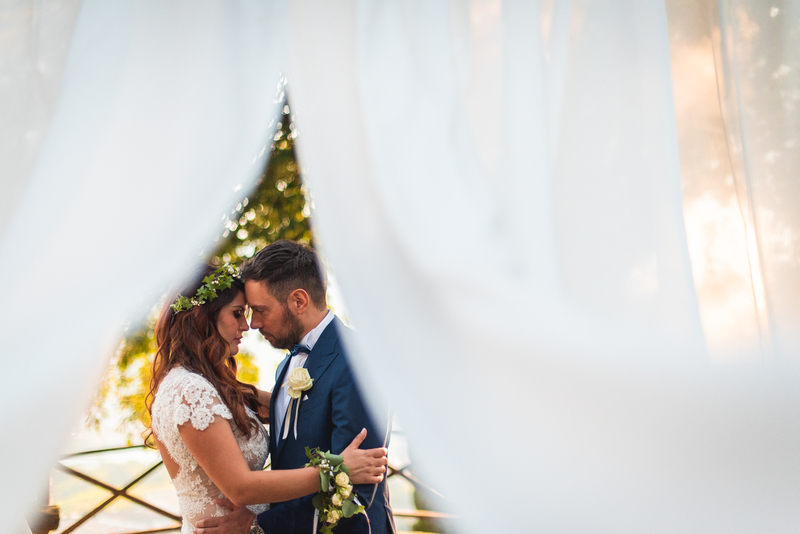 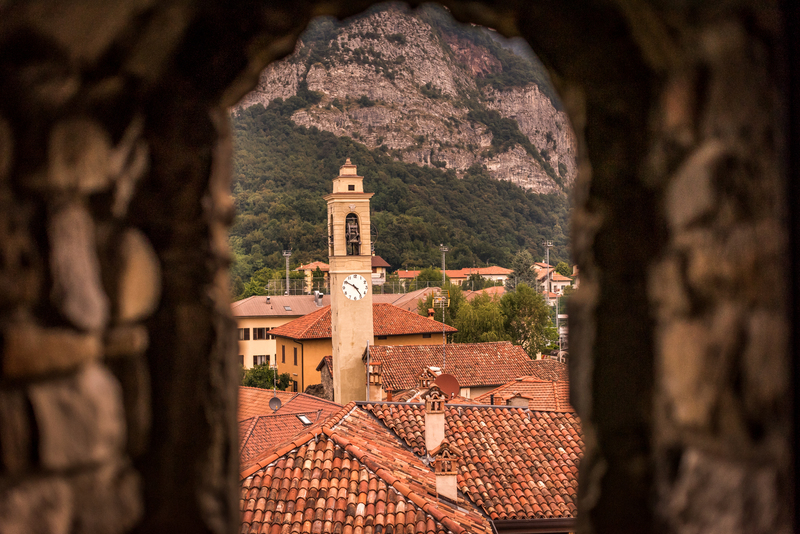 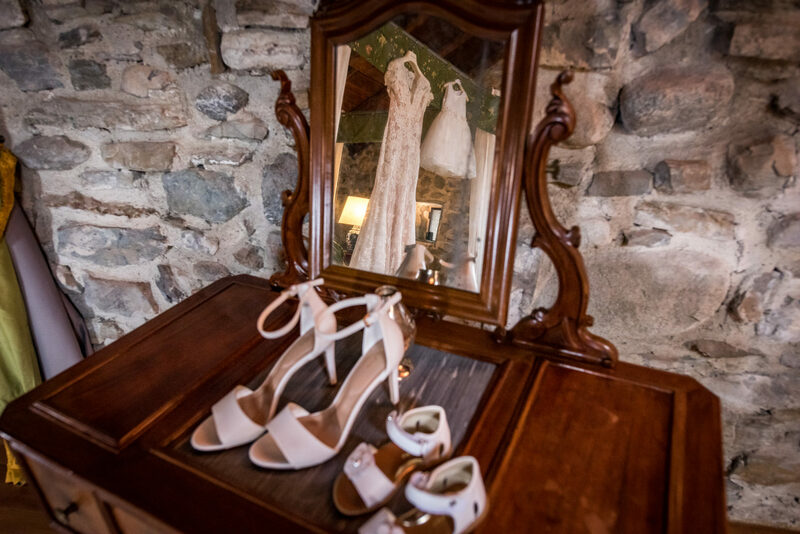 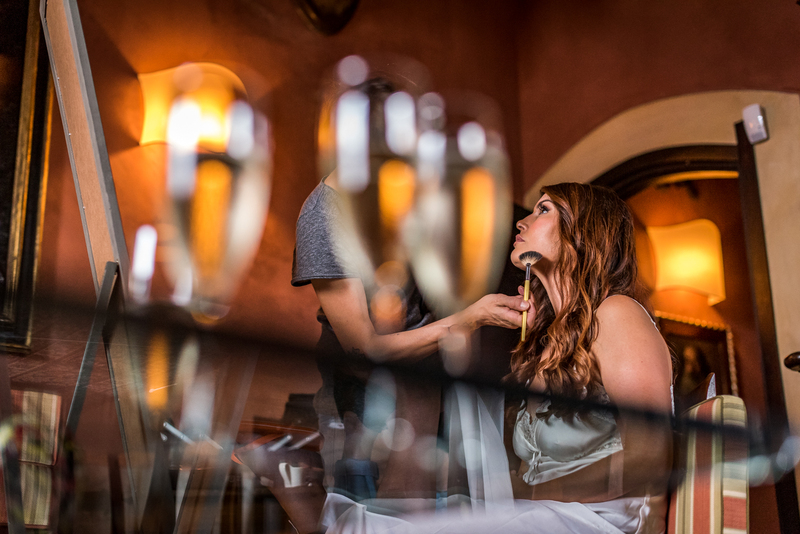 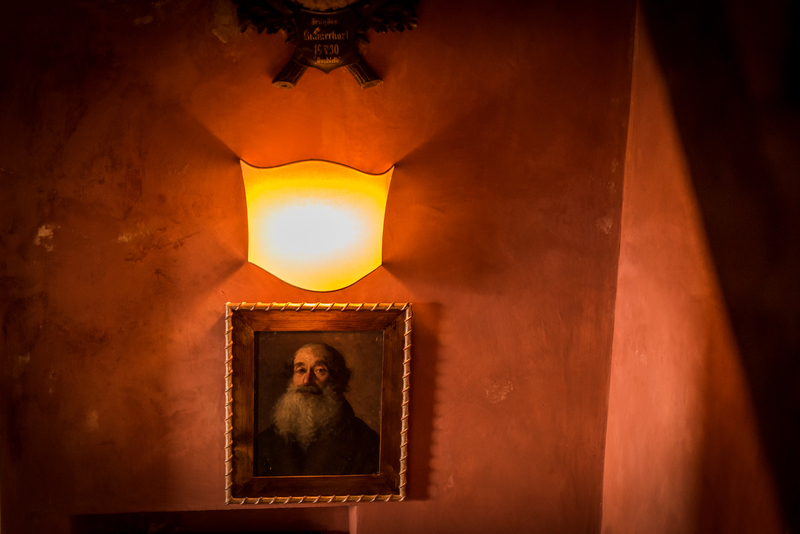 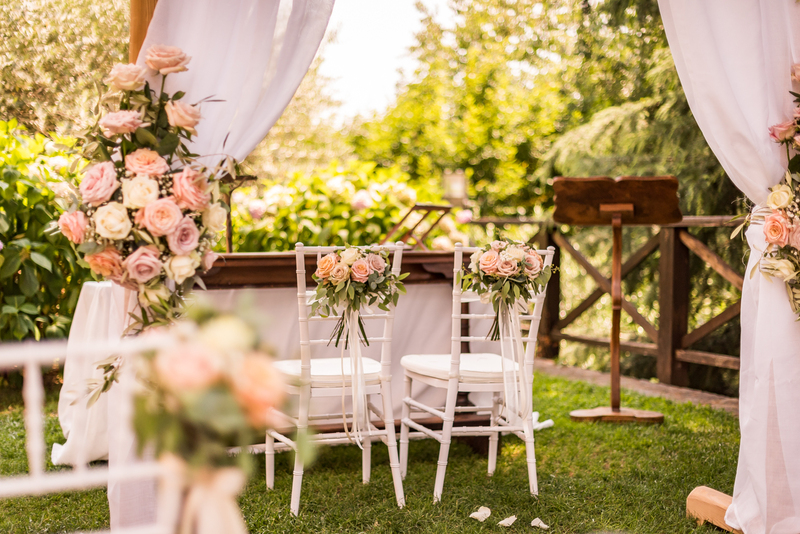 The Rossino Castle and its magical atmosphere, like the Marne Castle for Giulia and Andrea – TOP 5 by the international contest WPPI – are the setting for this marriage full of love. 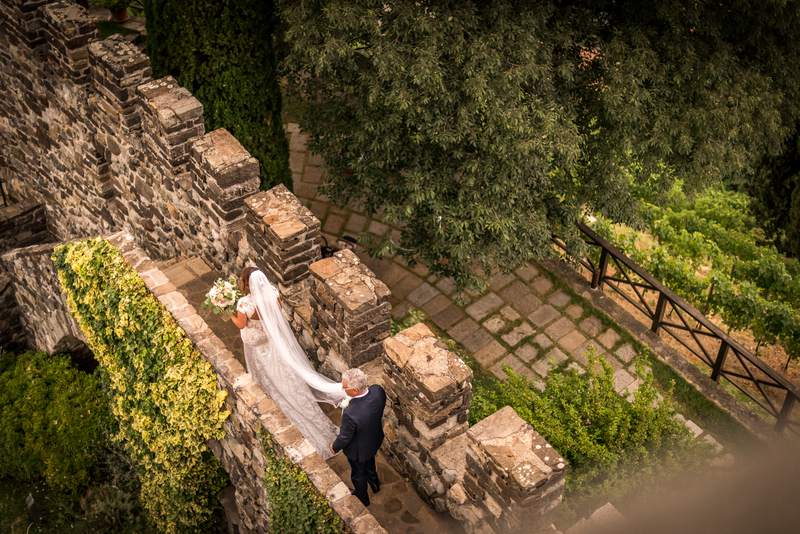 Cristina, inside the sumptuous suite of the Tower, in addition to a breathtaking view, is immersed in the magic and charm of a glorious past. 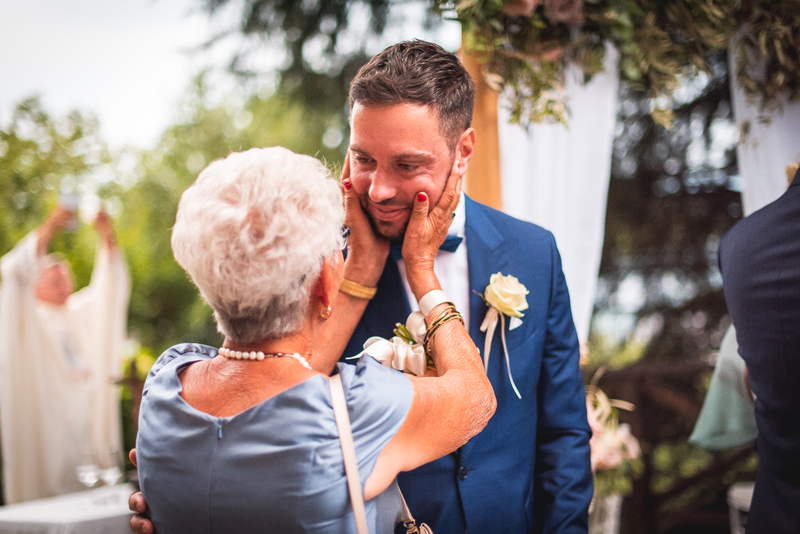 Maurizio, in the hall of the Court, prepares with the help of his mother waiting for her sister, and witness, for the last details. 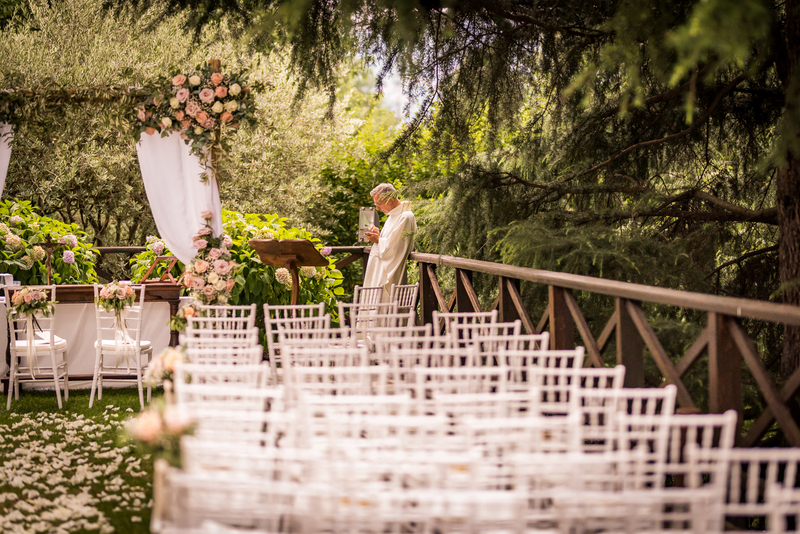 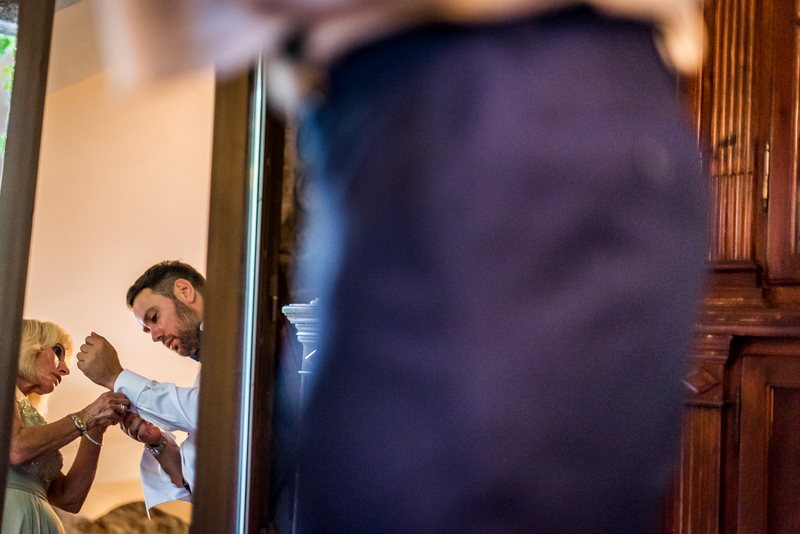 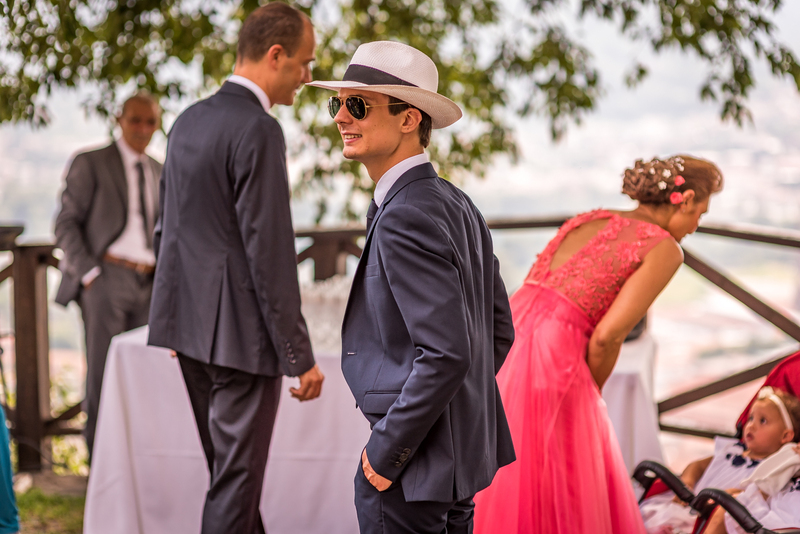 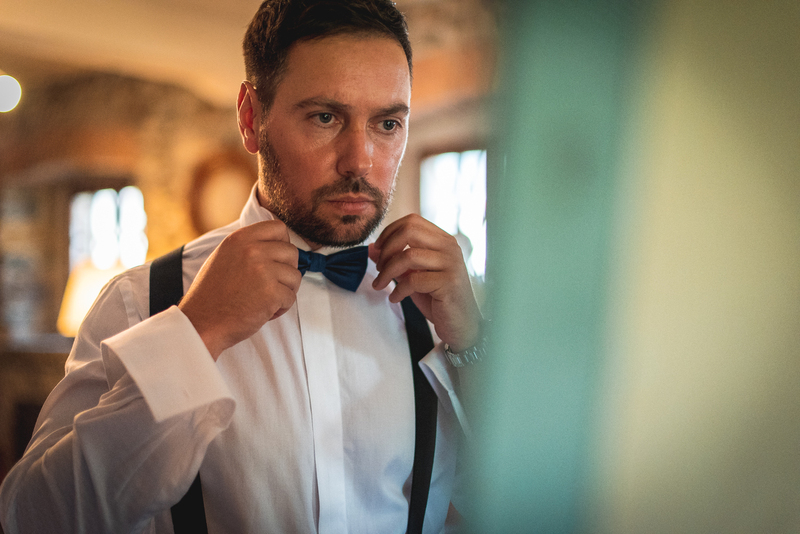 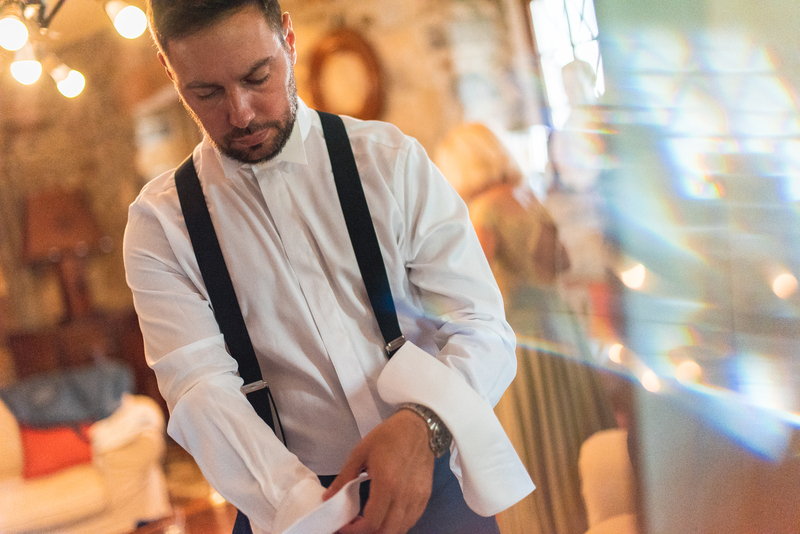 And while the guests are waiting for Maurizio and Cristina to prepare themselves, on the panoramic terrace of the Rossino Castle, Giulia and the all staff of Good Mood Eventi are preparing for the ceremony, while a careful Don Bruno checks that everything is positioned in the right place. 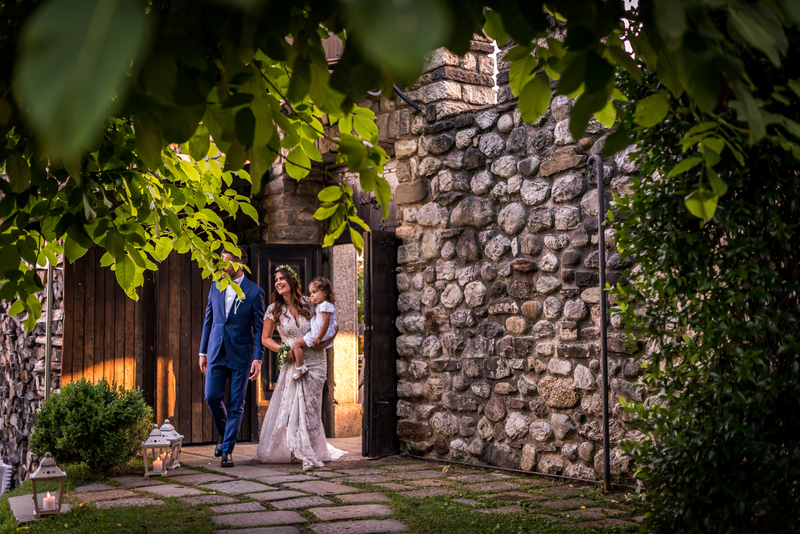 The time has come and Cristina, together with little Vittoria, is ready to get off the tower: beautiful in her mermaid lace dress, Cristina reaches Maurizio and the ceremony can begin. 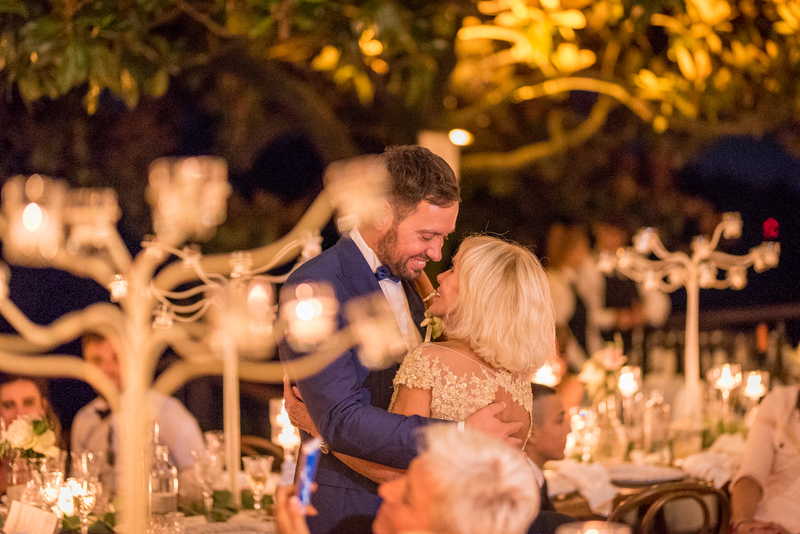 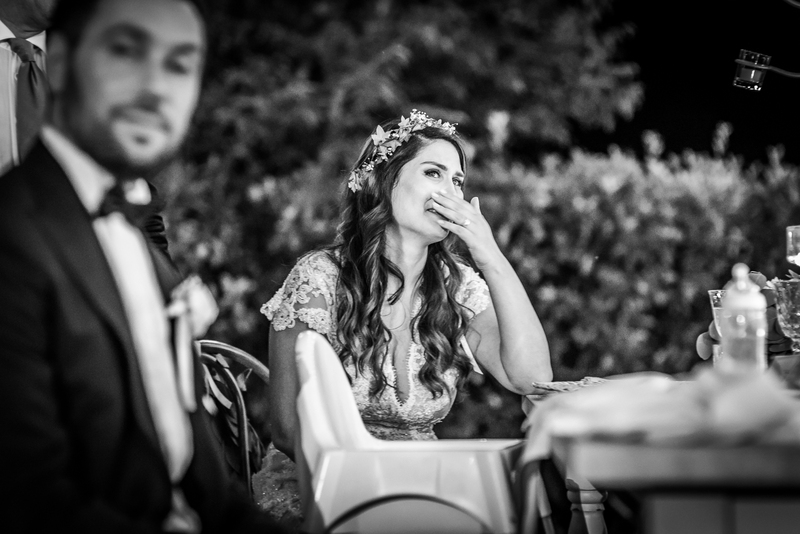 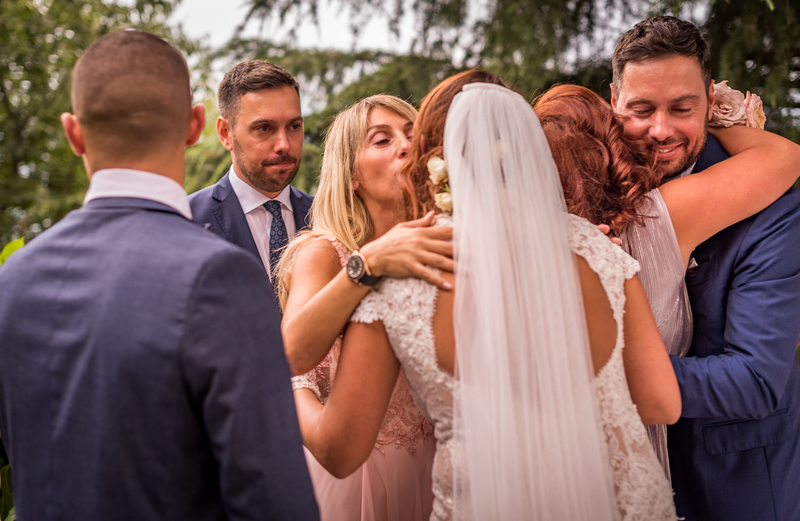 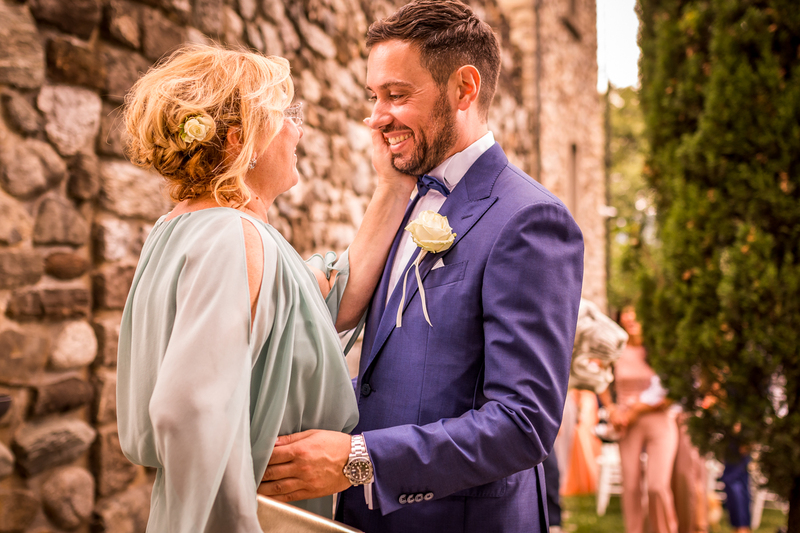 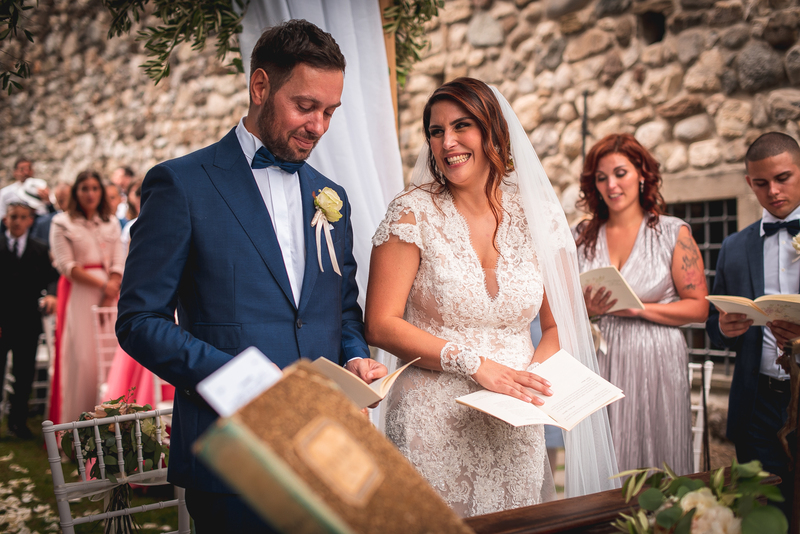 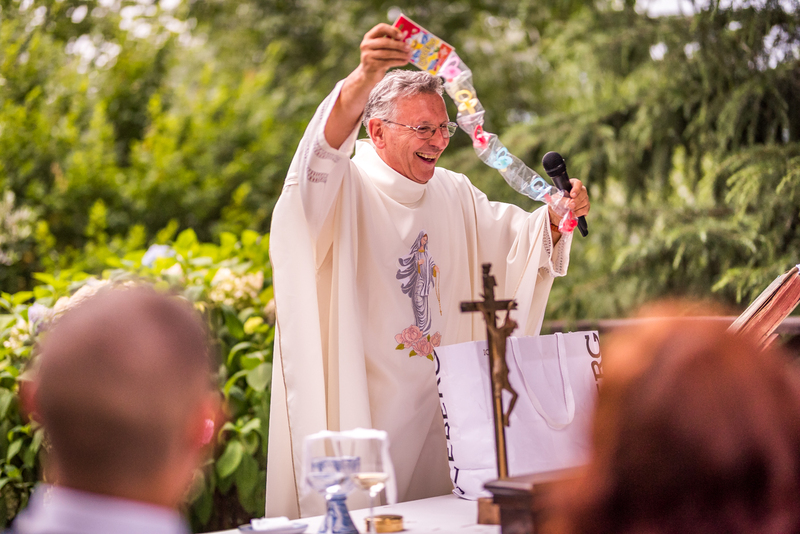 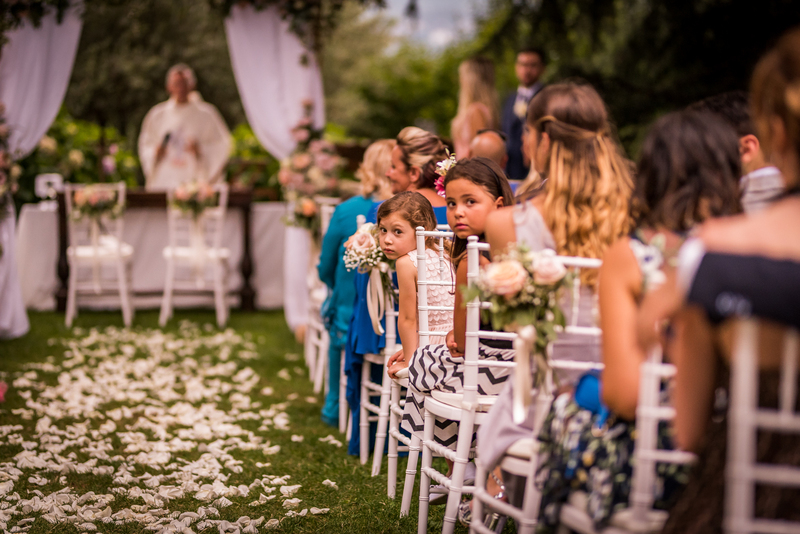 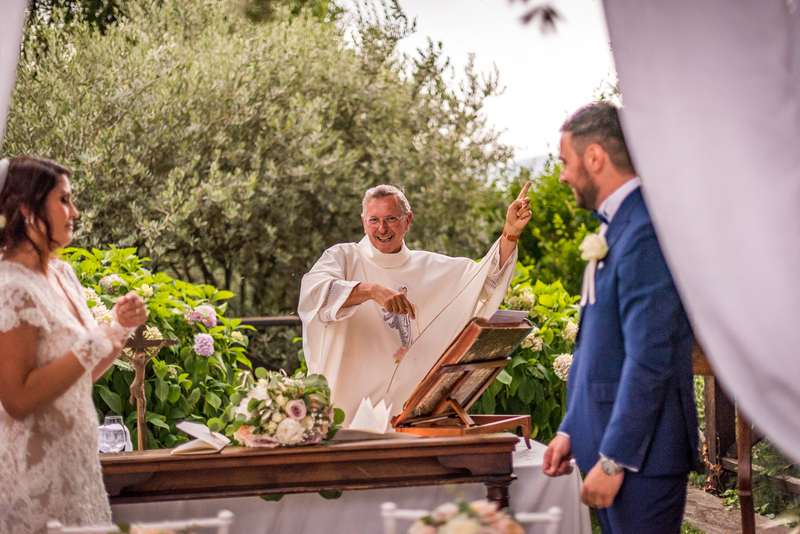 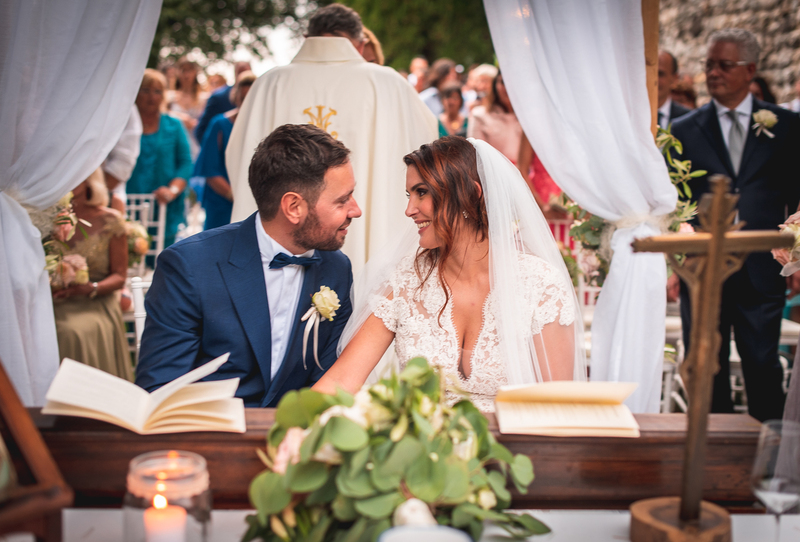 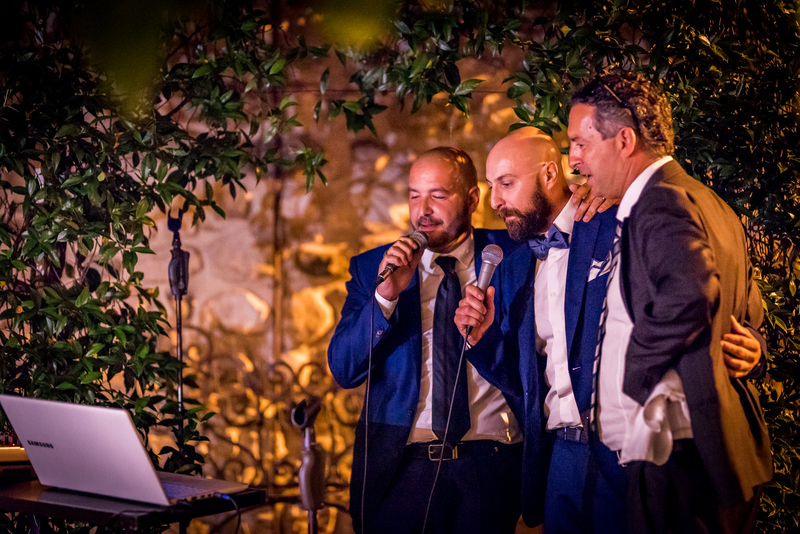 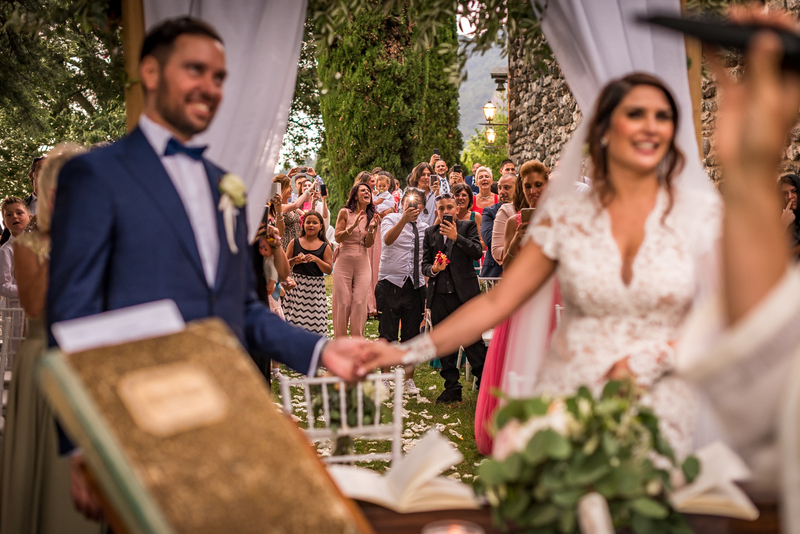 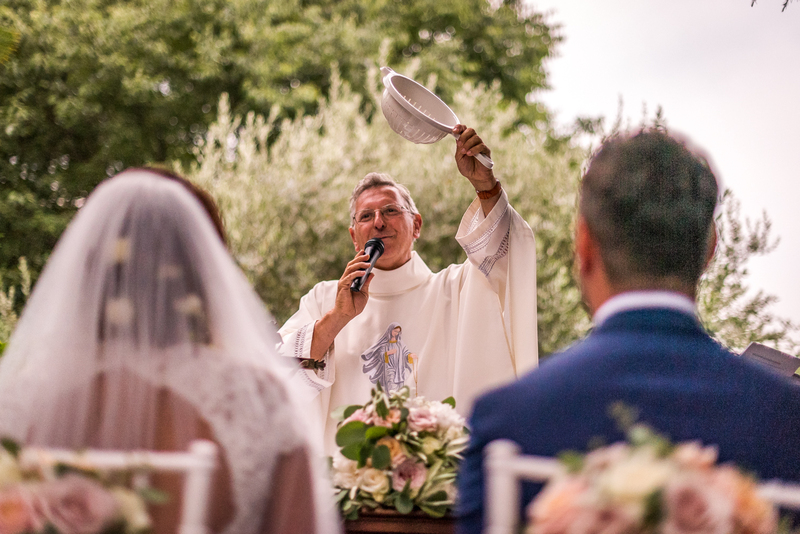 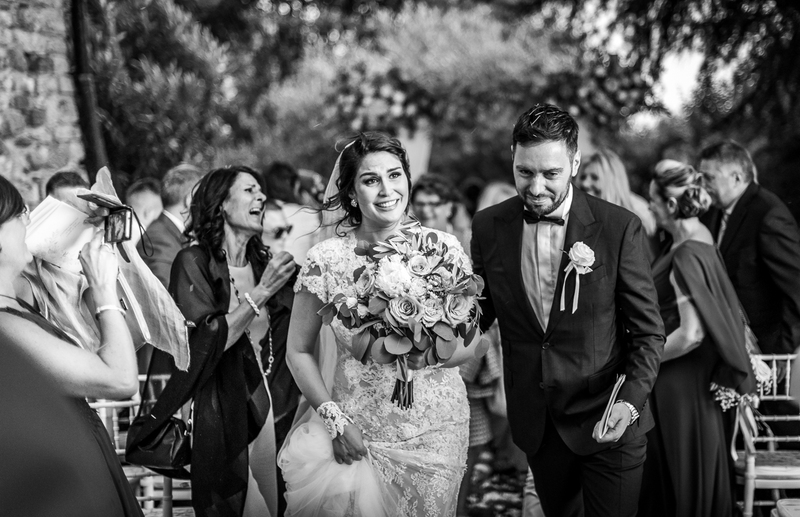 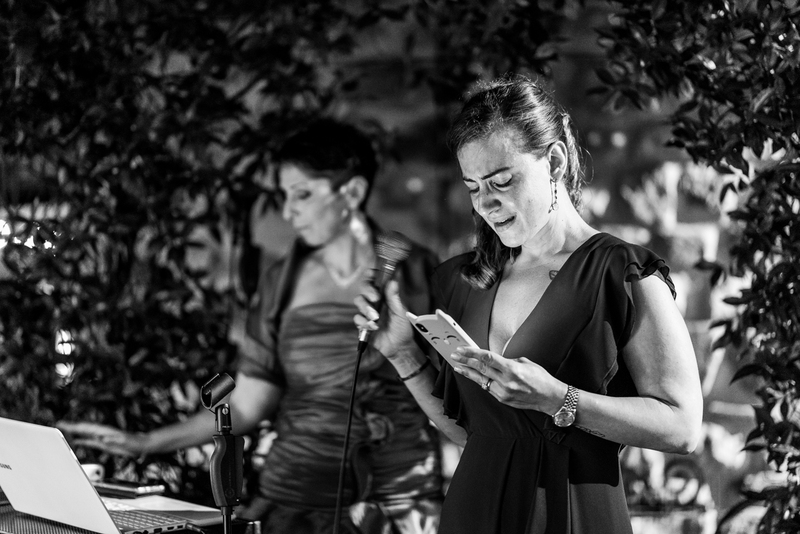 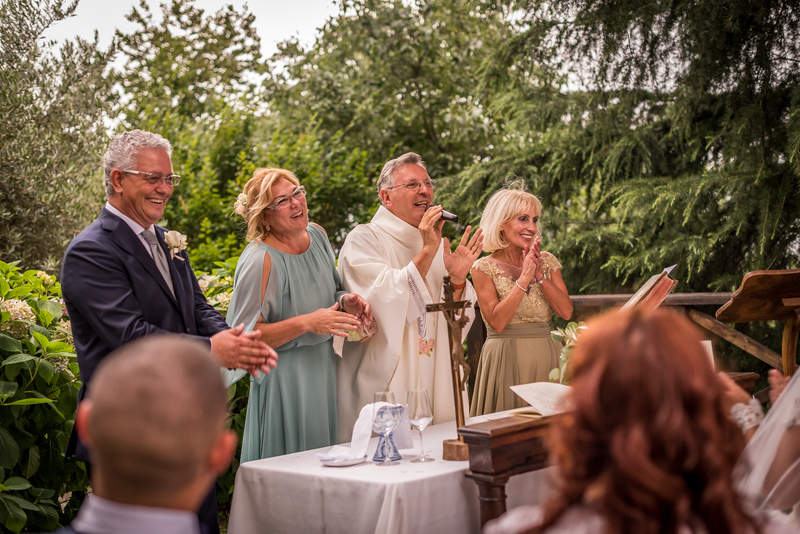 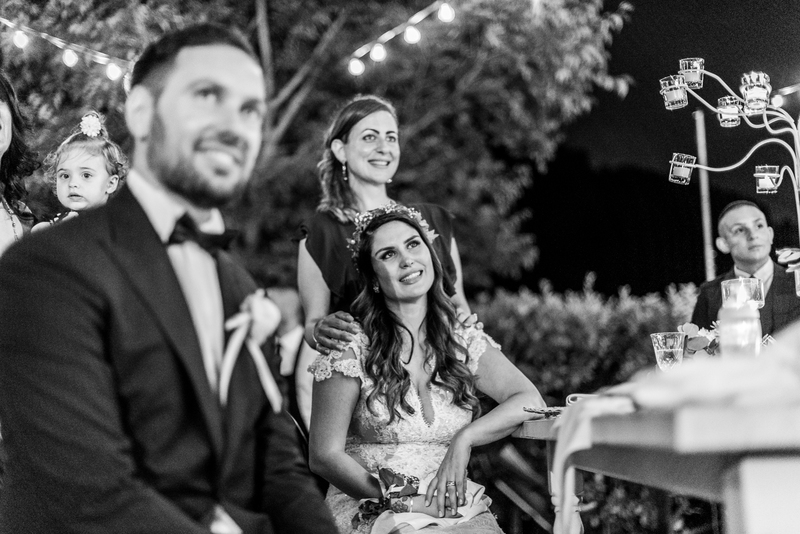 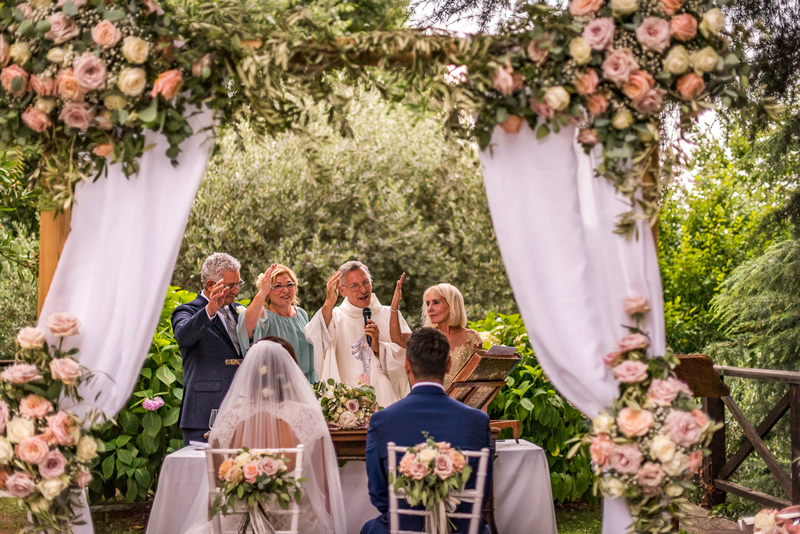 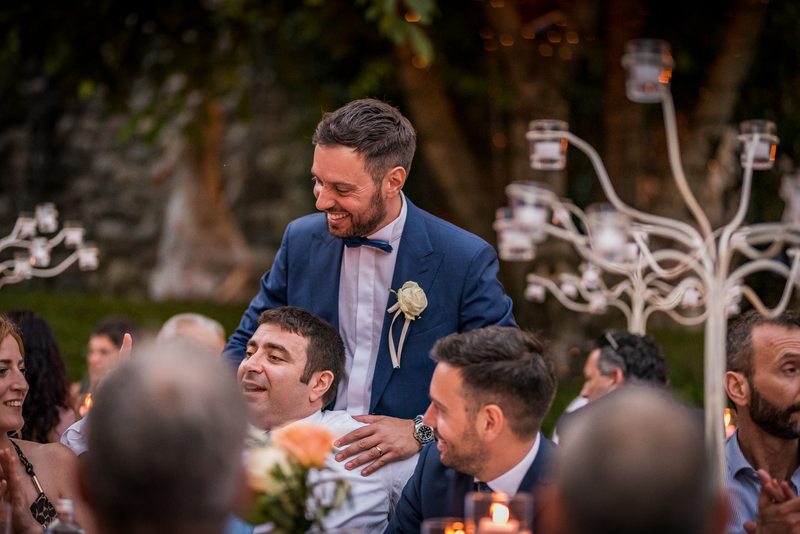 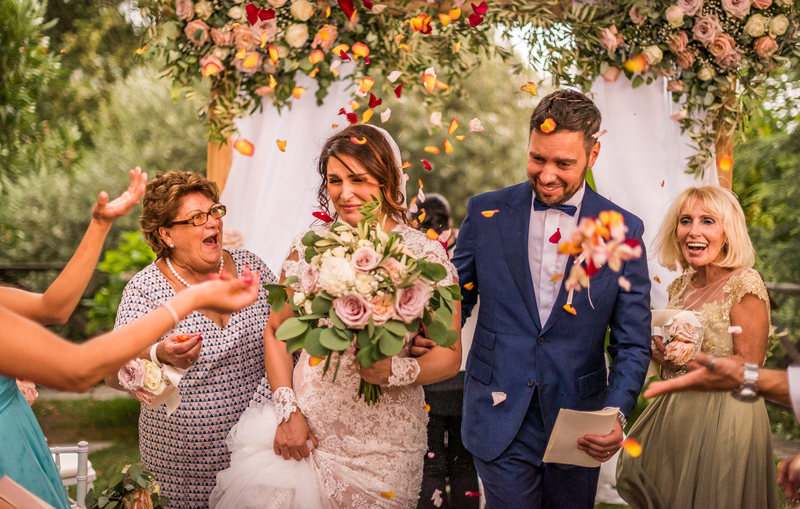 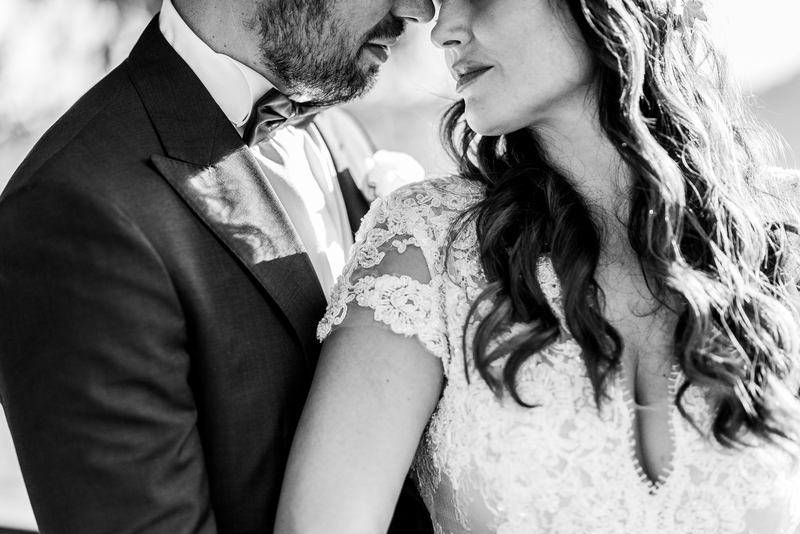 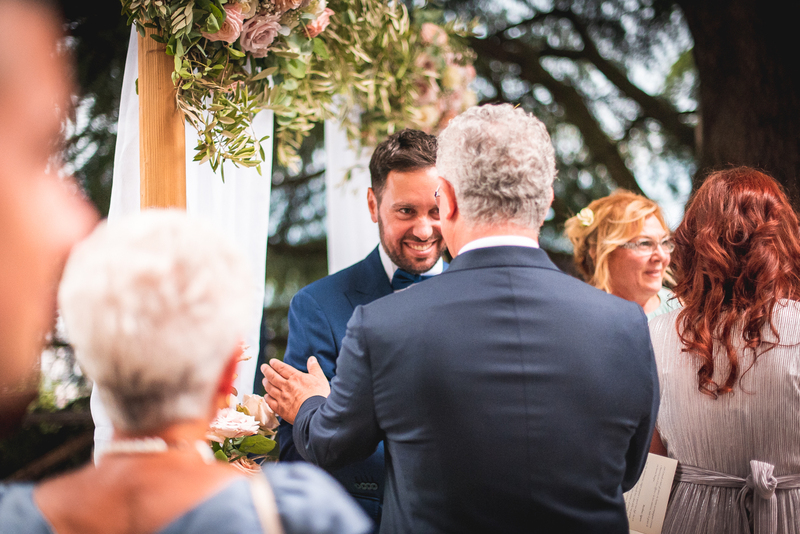 Those who know Don Bruno know that during the ceremony you never stop laughing and smiling: the tears were not missed when the witnesses dedicated words of good wishes for life together with Cristina and Maurizio. 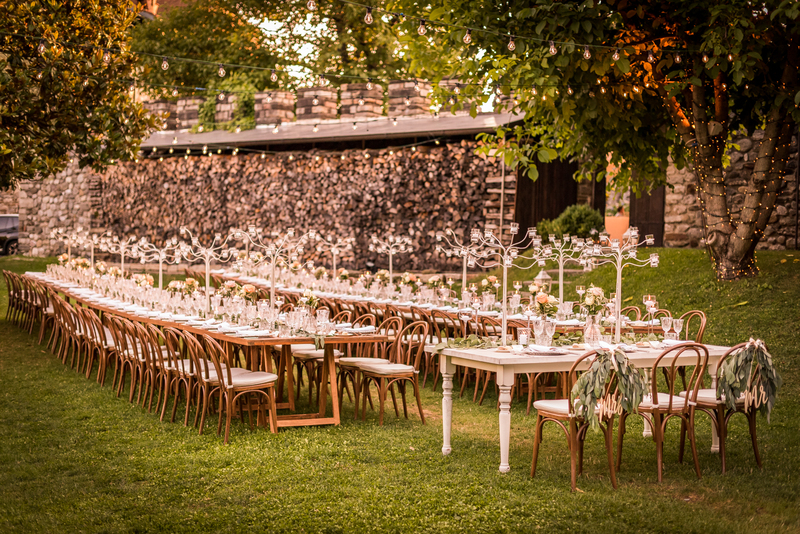 And finally, all standing! 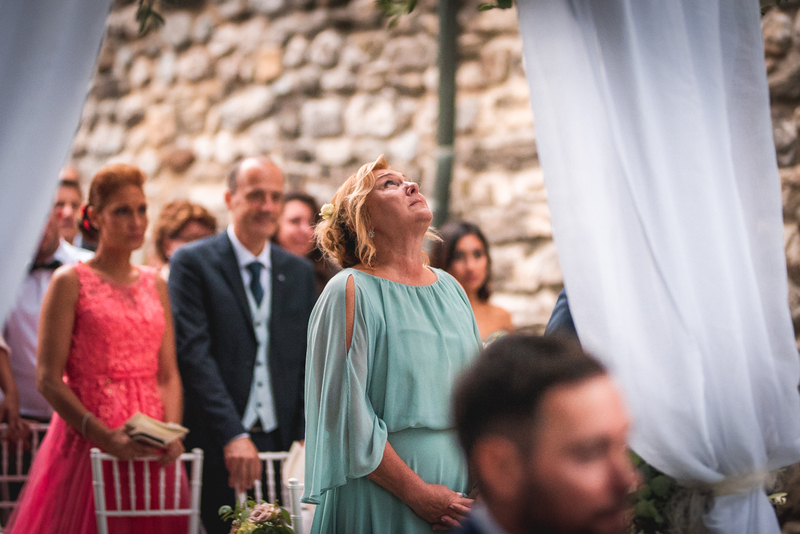 On the notes of a particular Ave Maria, under a – unfortunately- grey sky, friends and relatives are ready to celebrate Maurizio and Cristina with a shower of orange and red petals. 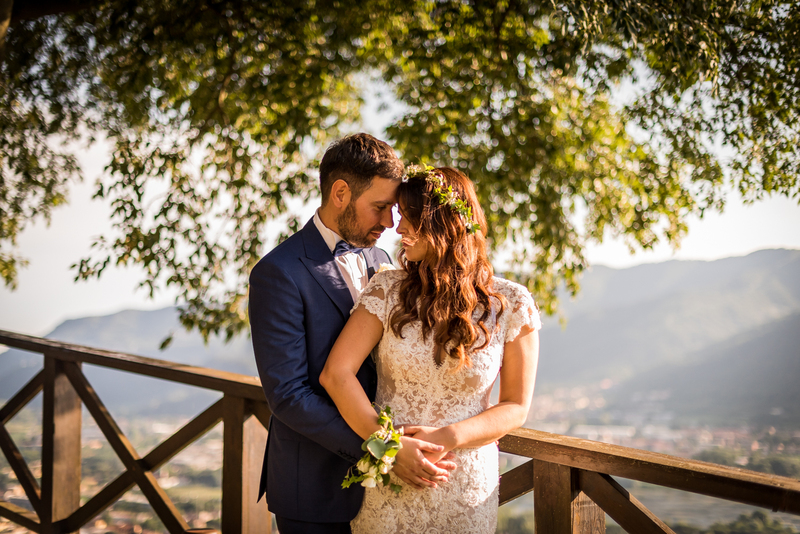 A few drops of rain darkens the spirits (go and view the love story of Valeria and Francesco), but we know that the sun always comes out after the rain. 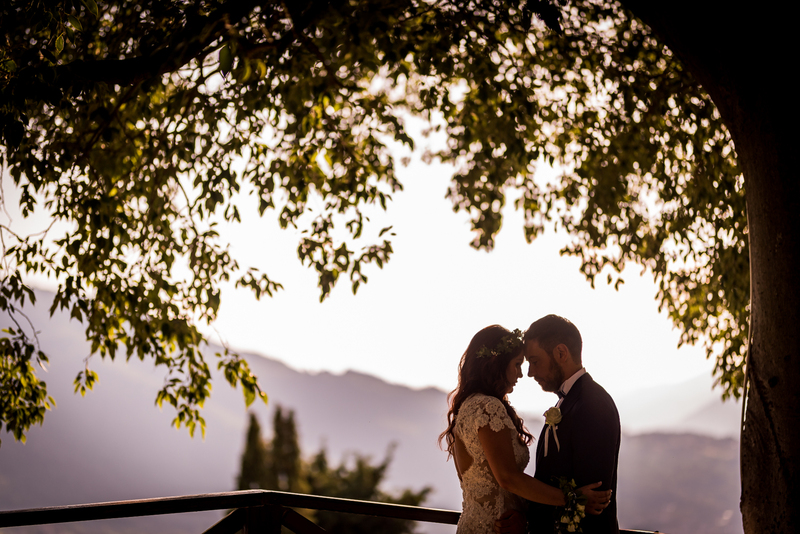 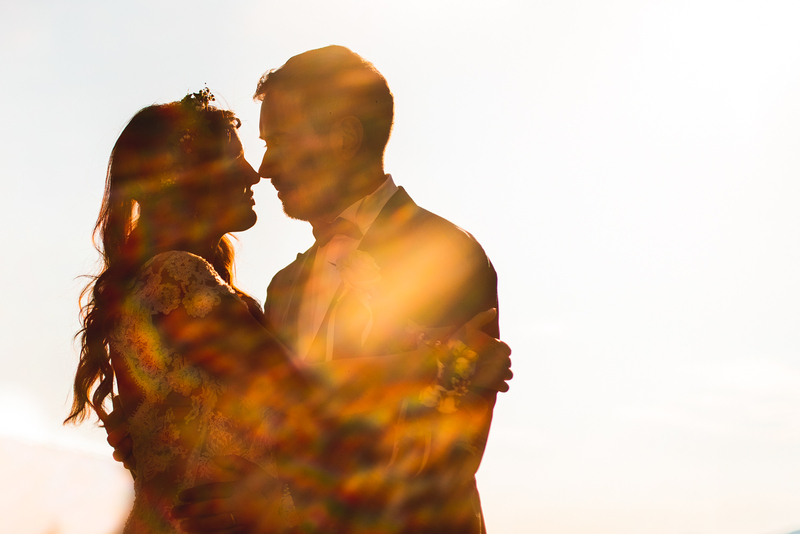 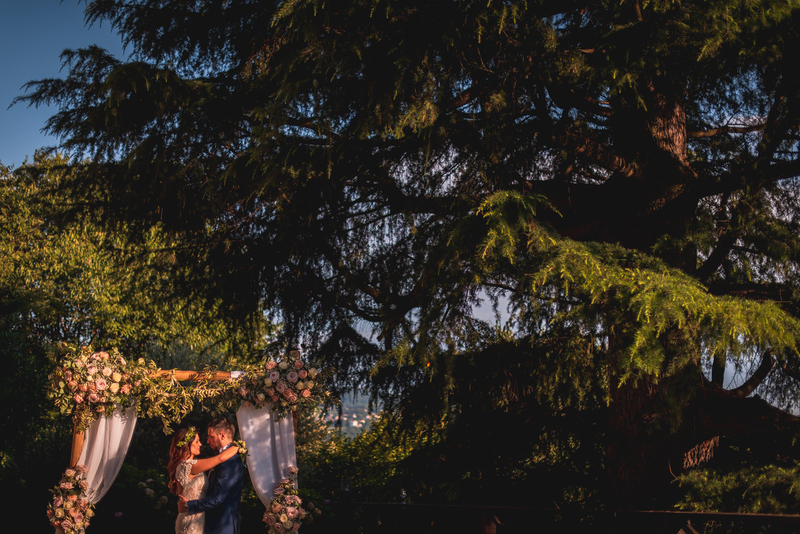 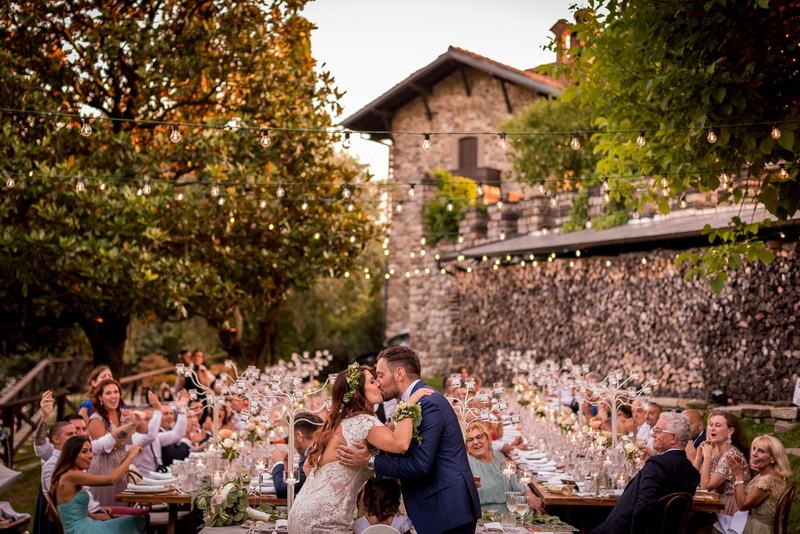 And while the guests enjoy the aperitif set up in the court of the Castle of Rossino, the light of the sunset, after a small summer rain, gives us unforgettable couple shots. 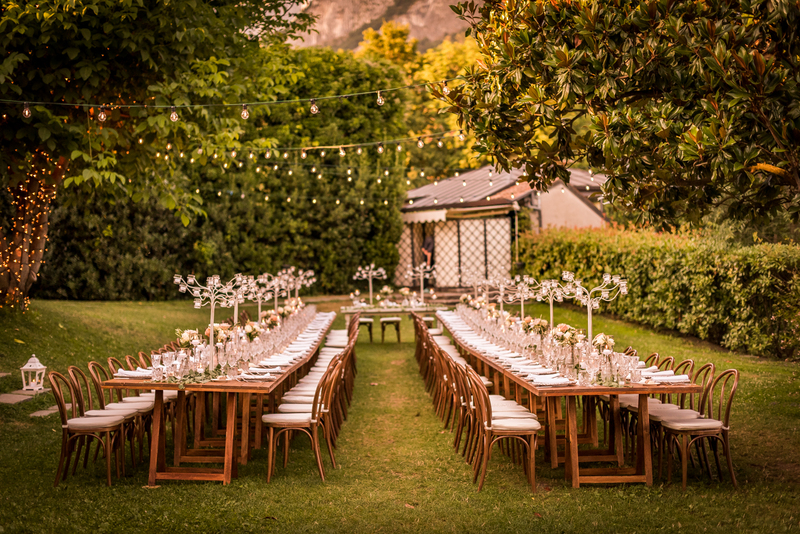 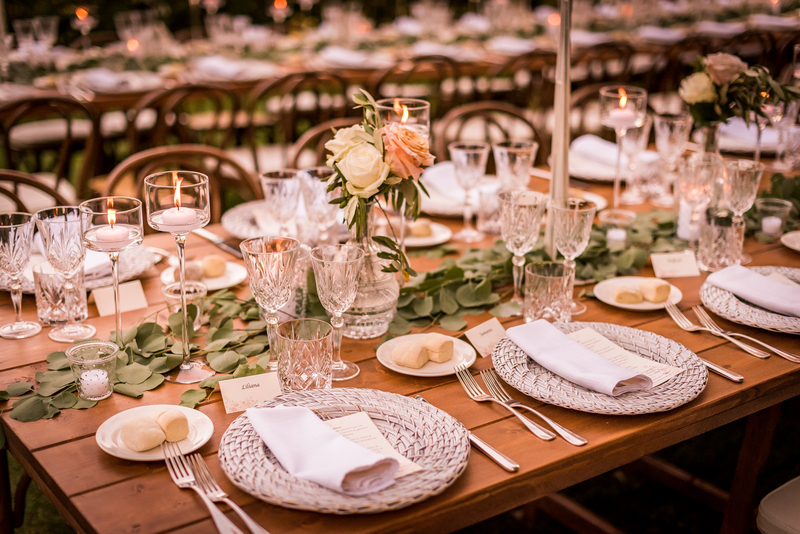 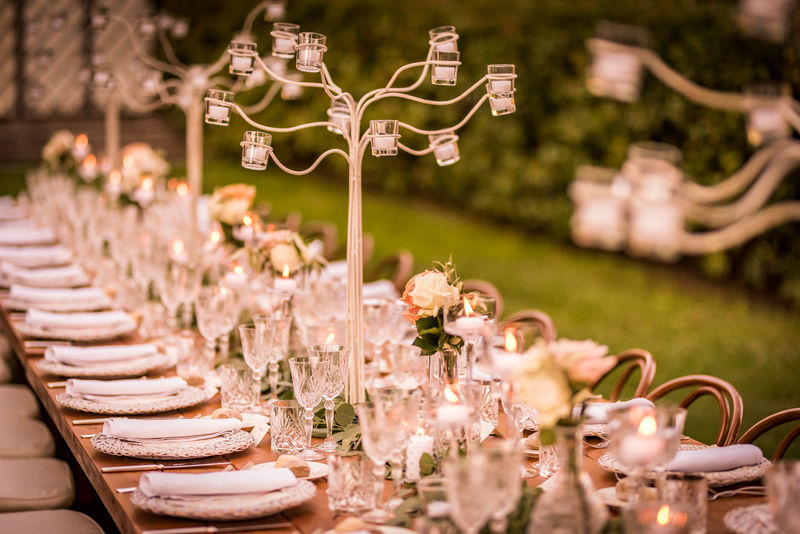 And in the garden of the olive trees everything is ready for dinner: two imperial tables set up and an unquenchable number of candles created a magical and medieval atmosphere. 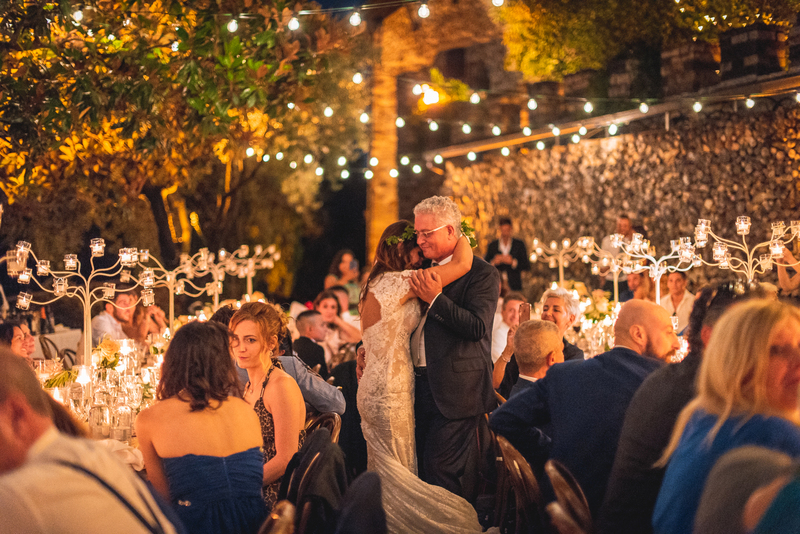 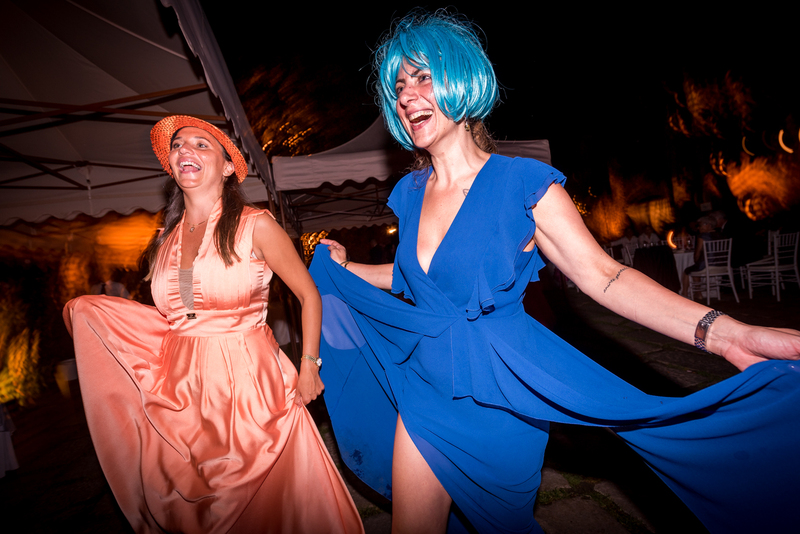 Dances and speeches, typically foreign, give Maurizio and Cristina and their guests, moments of emotion. 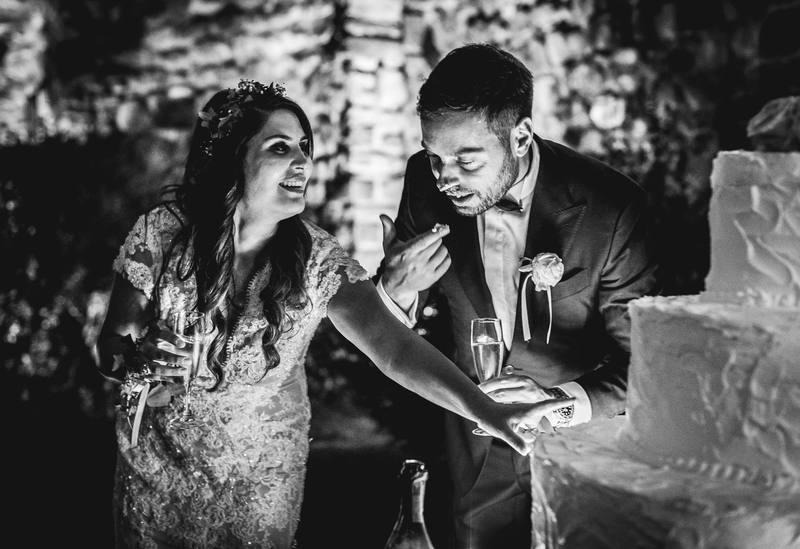 And then the cutting cake and the crackling fireworks that have echoed throughout the valley . 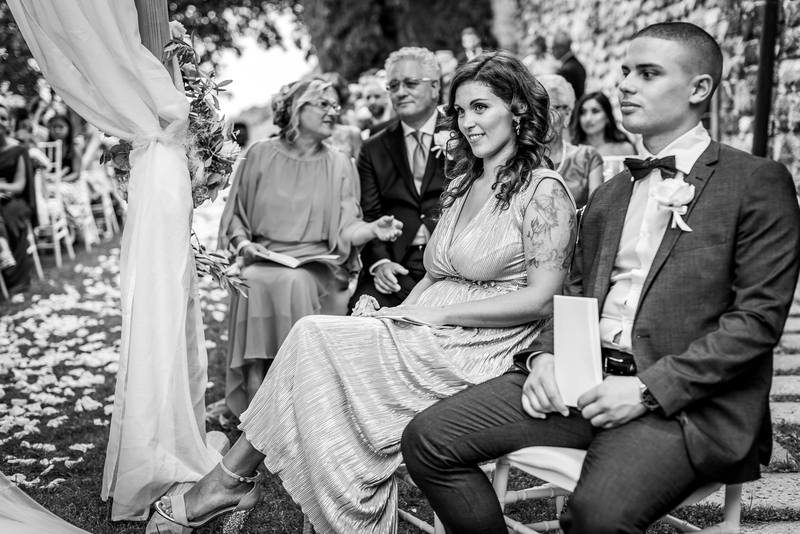 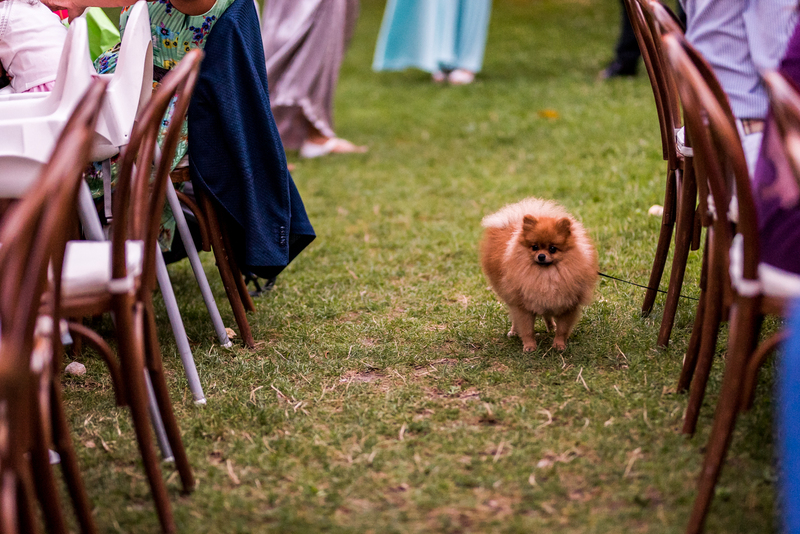 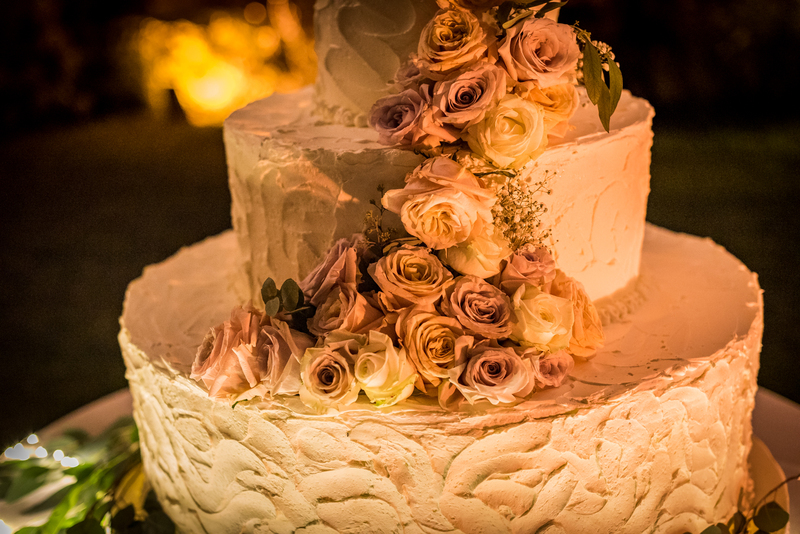 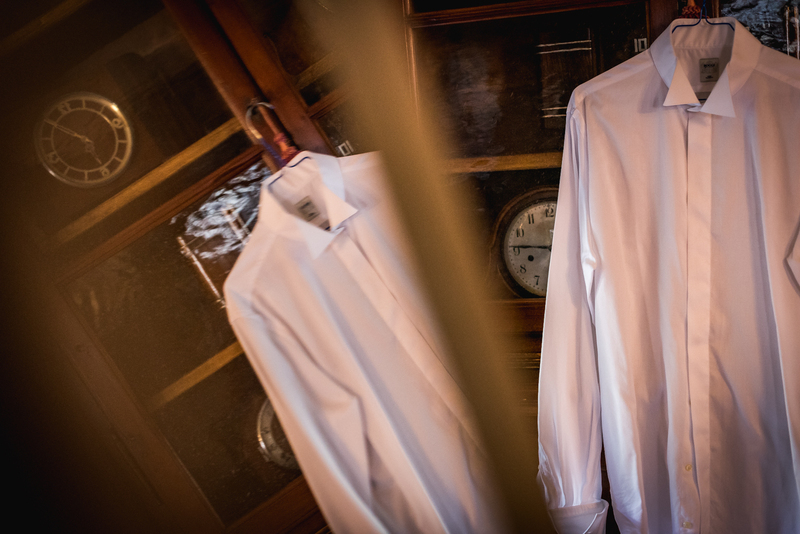 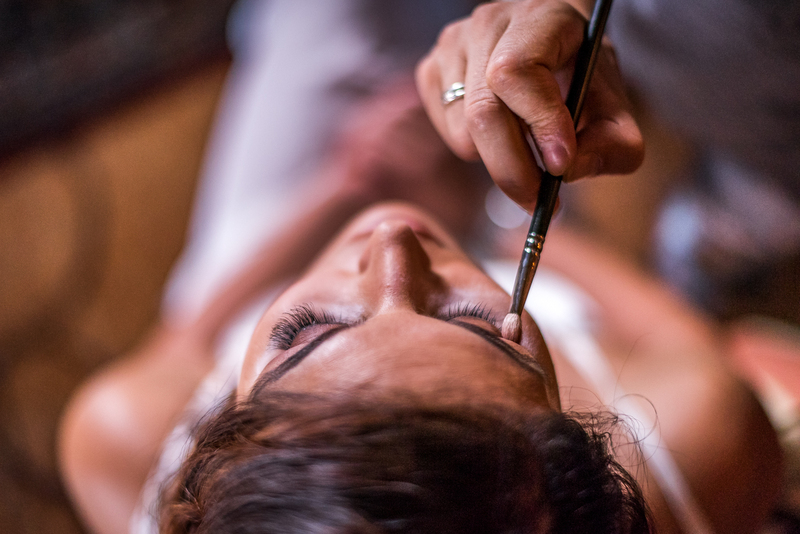 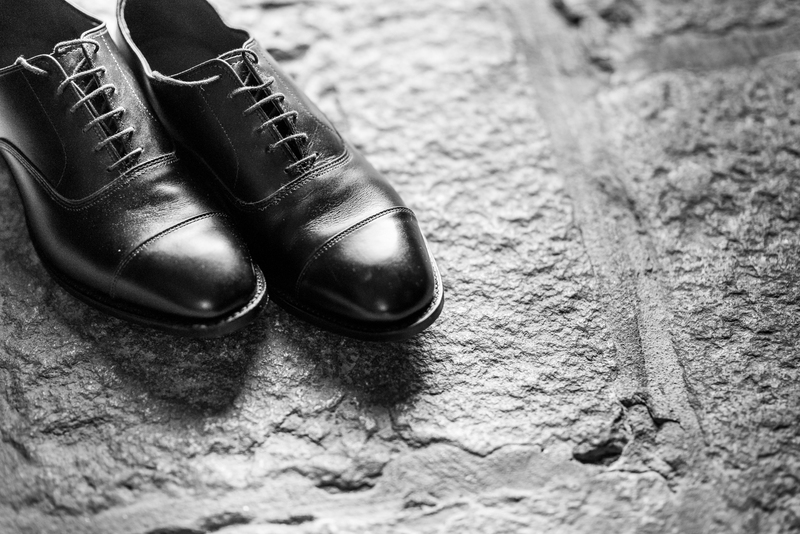 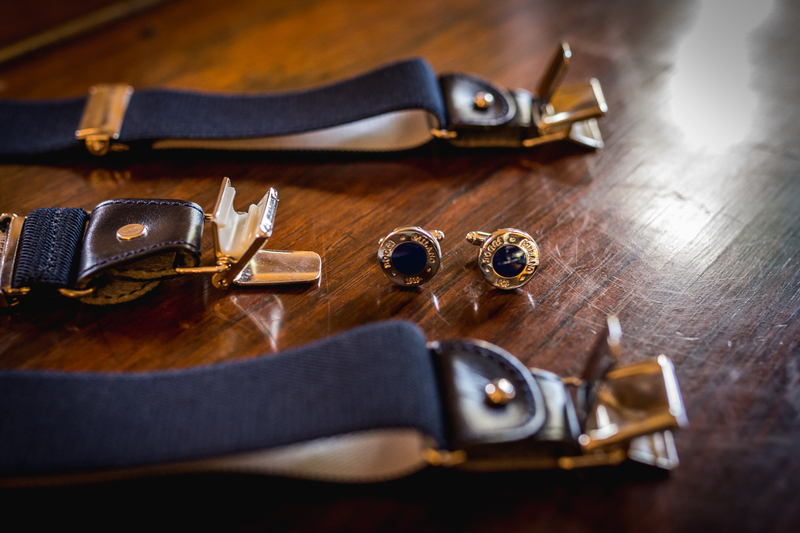 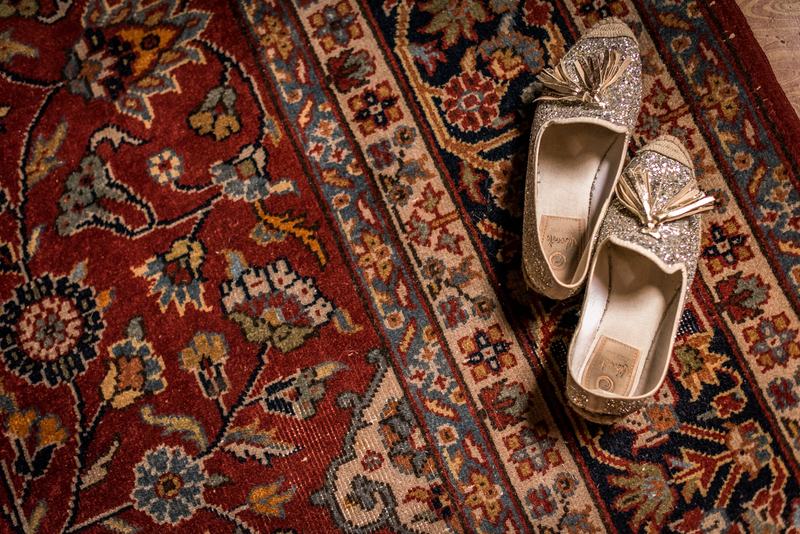 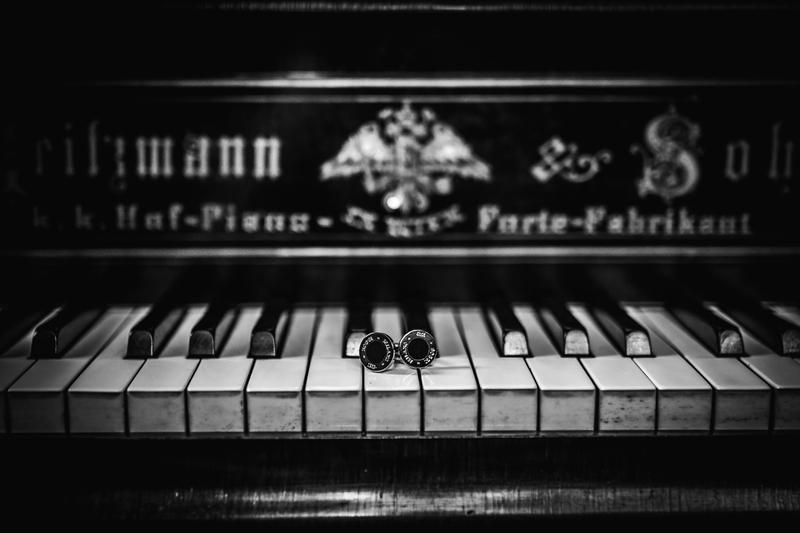 For info about your wedding photo reportage, write me!